BEST FIGHTER FOR CANADA: RCAF to receive 18 Super Hornets, followed by competition. RCAF to receive 18 Super Hornets, followed by competition. In a news conference today, it was confirmed that Canada will indeed acquire 18 F/A-18E/F Super Hornets. The Super Hornet will act as an "interim" fighter alongside the current CF-18 fleet to help mitigate the "capability gap" as the current fleet flies long past its prime. Canada will then conduct a "open and fair competition" to find a permanent CF-18 replacement for the late 2020s. 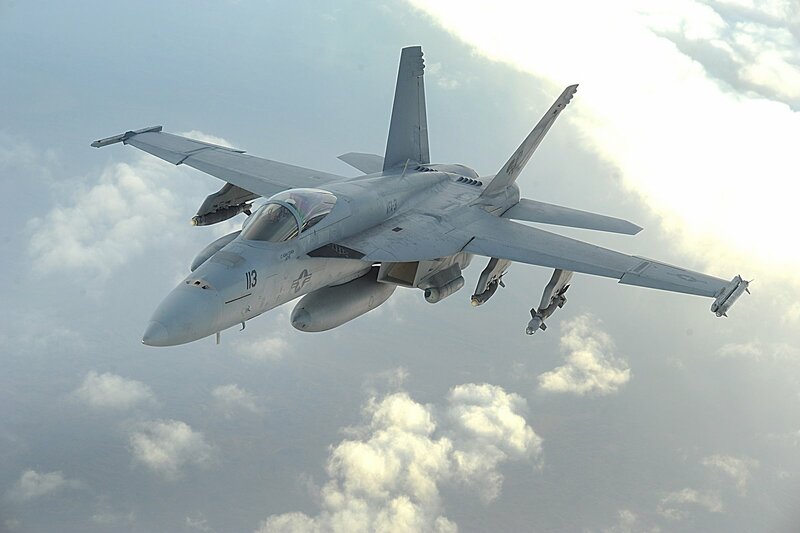 Canadian government officials will immediately begin negotiations with Boeing and the US government to acquire 18 Super Hornets. During this time, additional resources will be devoted to Canada's current CF-18 fleet to keep them flying and even expand their current role. Defence Minister Harjit Sajjan clarified that Canada will remain on as a JSF partner for the time being. The full-blown fighter competition will occur upon the conclusion of Canada's Defence Policy Review that is currently underway. Using that review as a guide, a new fighter will be selected that will (hopefully) be the best fighter for Canada. This will likely begin next year and the whole process will likely take five years start to finish. Procurement Minister Judy Foote reiterated that Canada's current CF-18s should have been "replaced years ago" and blamed the previous Harper government's inaction on the file as the cause for the RCAF's current pressing need. She promised that the upcoming permanent CF-18 replacement will be decided by a "Real competition to replace the fleet." It is unknown at this time how much Canada's interim Super Hornets will cost or whether they will remain as permanent fixtures in Canada's fighter fleet.